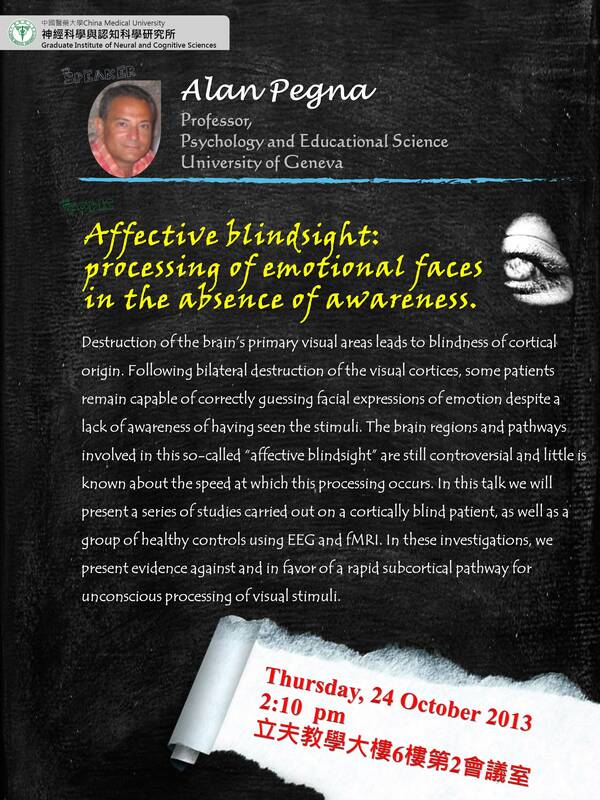 102.10.24 Prof. Alan Pegna (University of Geneva) : "Affective blindsight: processing of emotional faces in the absence of awareness." 講題：Affective blindsight: processing of emotional faces in the absence of awareness. 【演講】104/9/30 陳志成副研究員(中研院生醫所):"Roles of acid-sensing ion channels in pain, anxiety, and social development"